Light source projectors provide screens with the largest and most captivating images for an optimal viewing experience for presentations, lectures, movies, and more. For both cinema and home-theater needs, laser projectors have started to replace traditional lamp projectors as the light machine of choice. 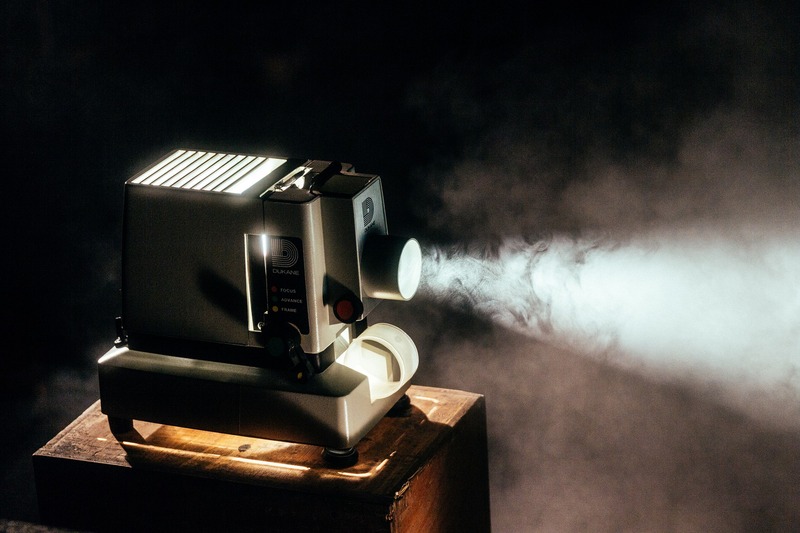 If you are in the market for a new projector, here is some information on laser projectors vs. traditional projectors to help inform your purchasing decision. Essentially all projectors work the same with a light source shining through an image and then being projected onto a whiteboard or screen. The big difference in regards to laser projectors vs. traditional projectors surrounds the individual projector’s efficiency and abilities. Traditional lamp projectors create white light and throw away all of the other colors, only leaving behind red, green, and blue by either absorbing it or blocking it. This is an inefficient way of creating the colors you see on the screen. Laser projectors are known to produce a better image quality with a projection of deeper, richer, and more lifelike colors. They only create the exact colors that are needed, which in turn uses less power and energy. This increase in efficiency means that laser projectors are able to get much brighter. The laser projectors can also produce more colors than a traditional lamp projector because they are able to be built to create any wavelength. Laser projectors are usually more reliable. Because there is no need to replace their lamps or filters, few laser projectors will require any serious maintenance during their lifetime, which is usually set at around 10 years. On the other hand, traditional lamp projectors require their bulbs to be replaced a good amount over their lifetime which can add up in costs. Nothing would be worse than having a bulb go out in the middle of a presentation and not having one on hand to replace it with which is something to consider when comparing laser projectors vs. traditional projectors. The biggest disadvantage associated with laser projectors is the higher upfront costs. Generally speaking, you will probably end up paying about $2000 more for a laser projector than you would for a more traditional lamp projector. However, it is important to take into considerations the costs of replacing the bulbs in a traditional lamp projector over the years as they can run anywhere from $250-$400 a bulb. Although they have not been available for public use for very long, lamp projectors have made significant changes to the audiovisual world. Overall, laser projectors offer greater durability, reliability, and longevity over the traditional lamp projectors, although they might not offer the familiar comfort that a traditional lamp projector can provide. Taking everything into consideration in the battle of laser projectors vs. traditional projectors such as how much color and contrast you need, how often and for how long you will use your projector, and where your projector will be installed, just make sure to find the right projector that fits all of your light source needs.